The old stone barn in the grounds of the Moulin de Malecoste has been carefully renovated into two gîtes/apartments. The barn’s stone walls and exposed beams and other original features exuding an air of old-world charm and warmth. 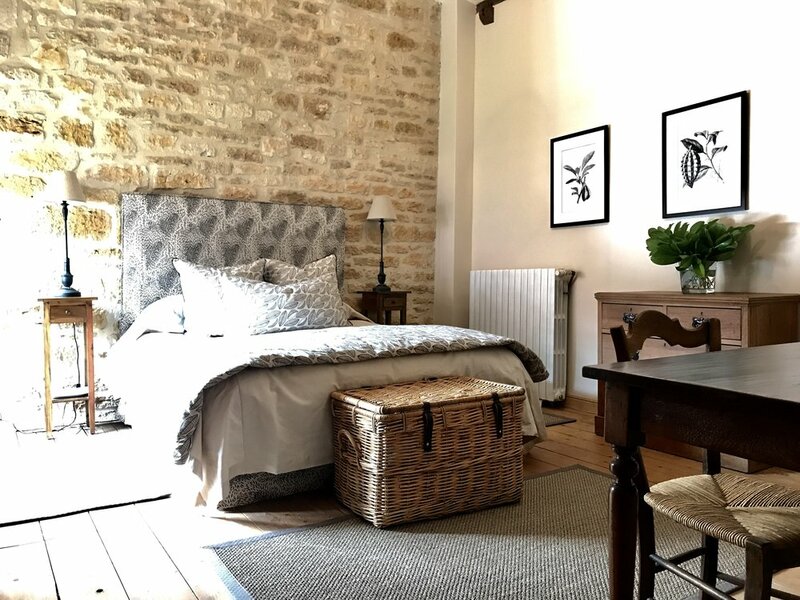 Both gîtes are equipped and furnished to a high standard for comfort and convenience, providing a tranquil base from which to explore this beautiful and interesting region of France. Located between the villages of Cazillac and Sarrazac in the department of Lot (46) region of Midi-Pyrénées, south-west France. “Le Moulin de Malecoste” was built in the 17th century as a mill. The ancient house sits on the banks of a stream in the french countryside, surrounded by walnut groves, fields and woods. 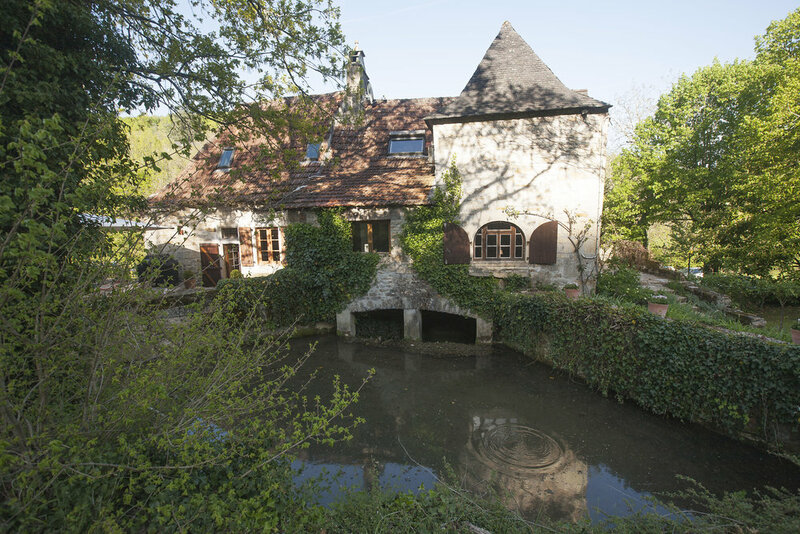 Le Moulin is very well situated to explore and discover the enchanting villages, famous caves and castles of Lot, Dordogne and Corrèze. A beautiful and unspoilt area of France. The accommodation at Le Moulin de Malecoste will suit different groups of visitors. There is a main house as well as an adjacent barn, which has been converted into two gîtes/apartments. Both the house and the gîtes have their own fully equipped kitchens, dining and living areas, making them equally suitable to a couple on a romantic break away or a large group of family and friends on a communal holiday. Sleeps from 2 – 16 people. with our three “luxe” gites/ apartments. Bleu is a charming two story apartment with a living room and kitchenette on the ground floor with large French doors leading to a courtyard area outside. There is a beautifully appointed double bedroom with large windows overlooking the courtyard giving light and air to the room. there is a newly renovated en-suite shower on the second floor. Rouge is a three-story apartment perfect for larger groups. It is stylish, spacious and accommodates four people in two very comfortable large bedrooms, each on their own floor. There is a full kitchen, sitting room, dining area and cloak room with shower on the ground floor with glass doors opening out into the garden and courtyard area where one can dine alfresco.